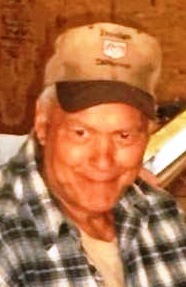 Murray A. Larrabee, 79, of Knox, formerly of Rockland died September 2nd at Penobscot Bay Medical Center in Rockport. He was born July 26, 1939 in Knox to Everett Larrabee and Iris Holbrook Larrabee. Murray grew up in Knox on a working farm, and cutting wood for Dempy Larrabee. He moved to Rockland in 1957, and volunteered on the Rockland Fire Department. He lived in Rockland over 50 years. He worked at Green Island as a truck driver, and then worked at the Lime Company. He began his main career at C & R Watery Company until the 1980’s. He lastly worked for U.R. Ilvonen until he retired in his 60’s. He was predeceased by his parents; and siblings, Josey Theriault, Lee Larrabee, Floyd “Pete” Larrabee, Owen Larrabee, Ruby Clark, Myrtle Penny, John Larrabee, and Clyde Larrabee. He is survived by his sons, David Larrabee and his wife Becca of Union; Darrell Larrabee and his wife Elaine of Thomaston; Tim Larrabee and his wife Linda of Chebeague Island; Tony Larrabee of WA. ; Gary Larrabee and his wife Ursula of LA. ; Danny Larrabee of Union; Ben Larrabee of Searsmont and Murray Larrabee of Rockland. He is also survived by his life partner, Sandy Simmons of Rockland; a special nephew, Chris Larrabee who was always with Murray on a daily basis, several grandchildren,great grandchildren,nieces, and nephews. A gathering to celebrate Murray’s life will be September 11 th at 1:00 p.m. at his son, David’s home at 515 Clarry Hill Road in Union. In lieu of flowers, contributions or donations of stuffed animals,dolls, or afghans in Murray’s memory may be made to the Knox Center For Long Term Care, 6 White Street, Rockland,ME 04841.